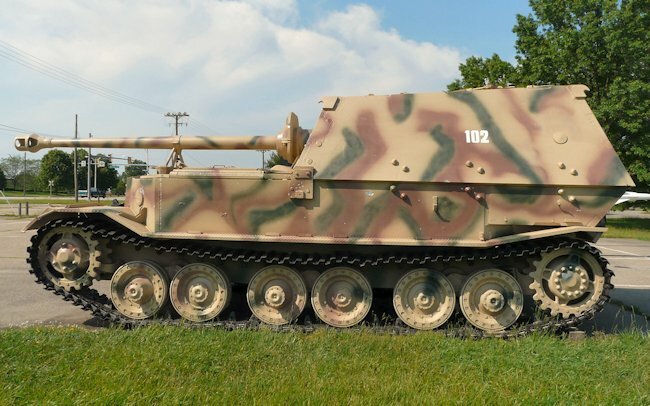 The first version of this WW2 German heavy Tank Destroyer was called the Ferdinand, after its designer Ferdinand Porsche, and then later the upgraded version with a hull mounted machine gun was given the name the Elefant (Elephant). 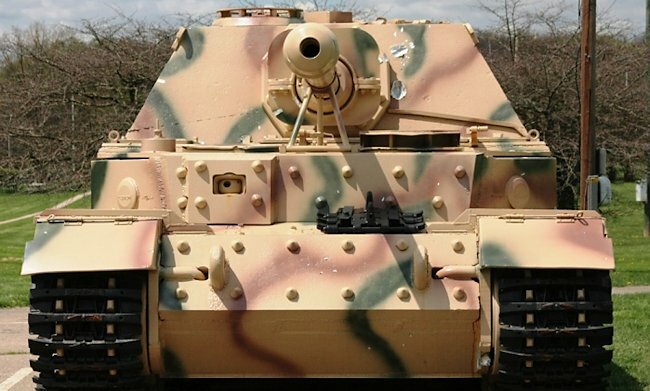 This German Panzerjager Elefant Tank Destroyer is on show at the Tank Museum, Linsay Road, Bovington, Dorset. It is on loan from America at present. The nearest train station is Wool Railway Station. You can walk the 2 miles to the Museum but there are not pavements along the country road and if you are travelling with children it can be dangerous. It takes 45 minutes by foot. There is an irregular bus service from Wool Station that will get you to the museum but they only come once an hour in the morning starting after 9.30. 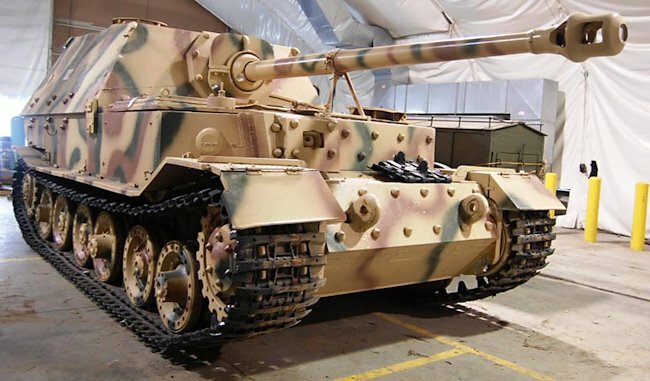 The Panzerjager Tiger(p) Elefant tank destroyer was powered by two Maybach HL 120 petrol engines that produced 200hp. It had a maximum road speed of 19 mph (30 km/h and had an operational range of 93 miles (150 km) and around 56 miles (90km) off road. It needed a crew of six: commander, radio operator/machine gunner, driver, gunner and two loaders. It was armed with a 88mm Pak 43/3 L/71 high velocity main gun and one 7.92mm MG34 machine gun in the hull. The main difference between the earlier Ferdinand tank destroyer and the Elefant is that the Ferdinand did not have a hull machinegun. 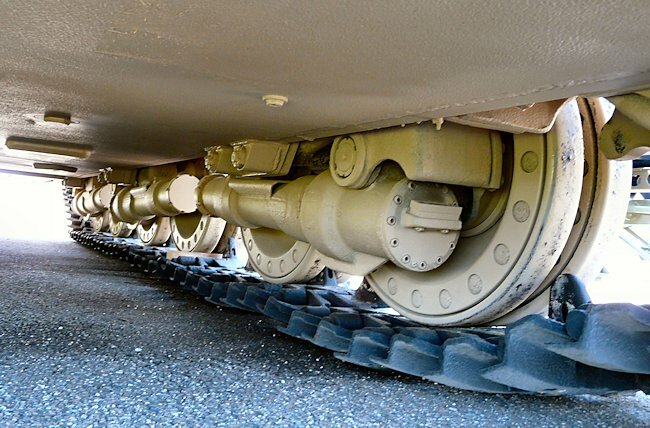 The tank weighed 65 tons. 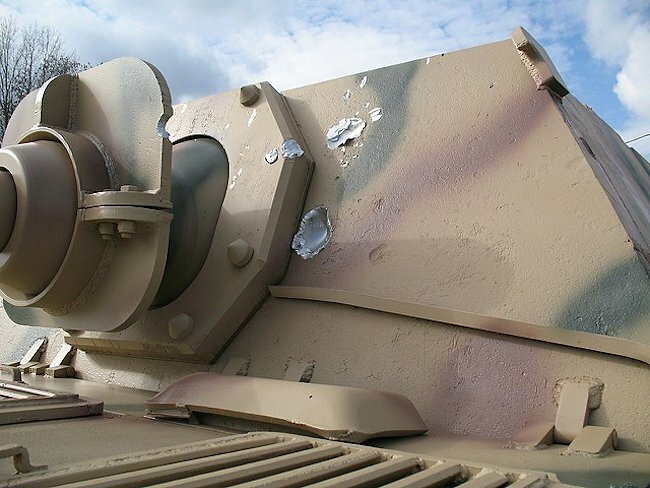 Its armour ranged from 60 to 200mm. All I know is that it was captured in Italy May 1944. Its Fahrgestell number is 150040. It belonged to the s.Pz Jag. Abt 653 (Kampfgruppe Ulbricht) with the tactical number 102. During the Battle of Kursk it belonged to sPz Jag. Abt 654 and had the tactical number of 511. Stored for many years at the US Army Ordnance Proving Grounds, Aberdeeen MD in the open. Taken to Fort Lee, VA, USA where it finally had its rust treated and painted. 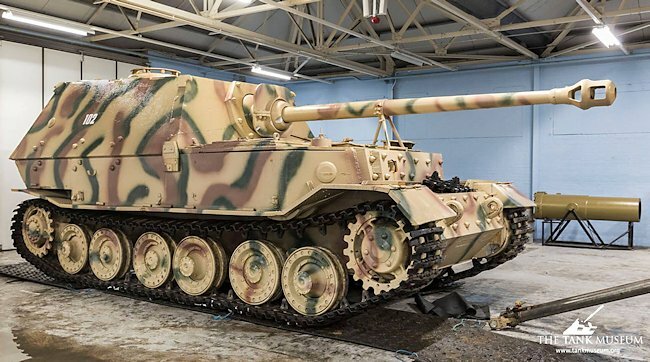 Of the 48 of 653’s Ferdinand’s that were rebuilt to Elefant these belonged to the 1.Kp and went to Italy from Feb-Aug 1944 under the command of Oblt. Ulbricht. 8 or 9 Elefant’s were later counted as total losses with only 2 or 3 survivors making it as far back as Germany as well as one BergeElefant. 1.Kp. while in Italy was attached to the Tiger I Abt. 508, who in turn were under the umbrella of Fallschirm. Pz.Div. "HG", all as part of 76 Pz. Korps in the 14th Army. They took part in the fierce fighting near the Anzio beach-head to try and stem the Allied landings in February '44, before retreating to Rome by mid-1944. These losses were as much circumstantial as opposed to direct enemy action, we know one also hit by direct shell fire another to dive bombing but most to mechanical faults and then self-destructed by their crews. Contrary to urban myths of bravado, none were knocked out by Bazooka teams as it was not until late 1944 that the M20 "Super Bazooka" became available, the previous models having nowhere near enough penetration capability to tackle a head on Elefant. This Elefant is Fgst. No.150071 that suffered an engine fire between Cisterna and Cori soon after. This is Oblt. Ulbricht own vehicle and there was large letter ‘U’ painted on the top right rear corner which would indicate this was Ulbricts Elefant. After failing to recover it the Elefant was booby trapped with grenades strung up inside during the May retreat which is why the picture above mentions explosives etc. It originally had a unique pattern of Zimmerit in both horizontal and vertical waves, which was later foolishly removed. When the vehicle was being stripped down it was found that the left sprocket was jammed. The Elefant had apparently been captured by US troops in Italy after its crew had abandoned it. When the left final drive was taken apart, a curved fragment of metal was found to be jamming the gears. 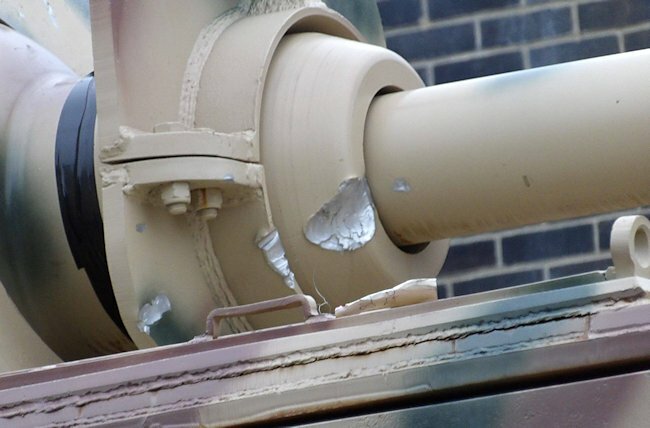 On examination, the foreign object appeared to be shrapnel from a US M72 75mm AP armour piercing round. The implication being that a desperate Sherman crew had fired at the Elefant's running gear - and got a Hail Mary mobility kill. 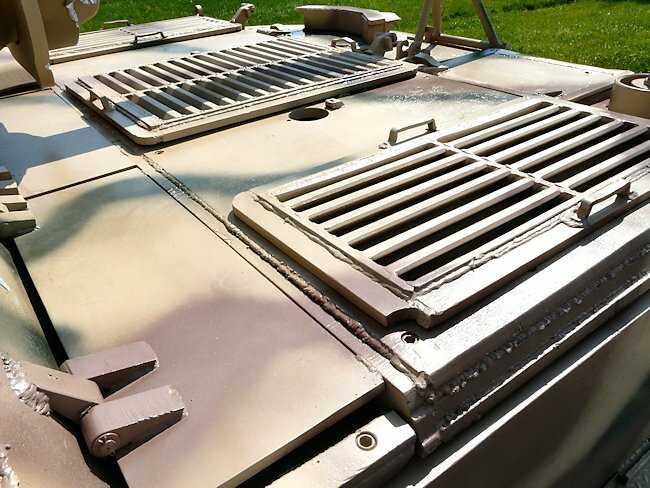 Armoured engine hatches on the only surviving Elefant Tank Destroyer. 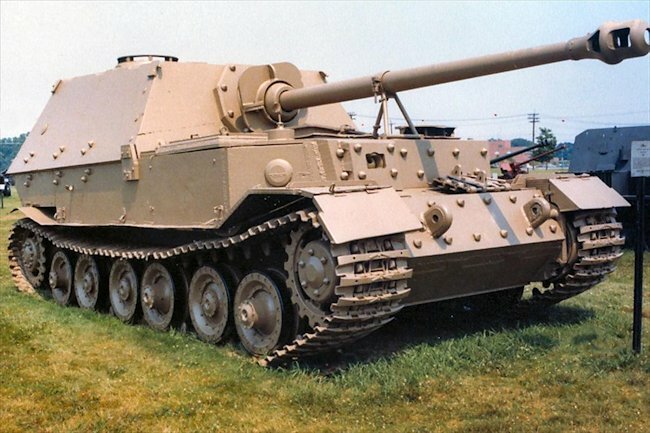 The Elefant Tank Destroyer SPG was left out in the open for many years at the US Army Ordnance Proving Grounds, Aberdeen MD, USA. 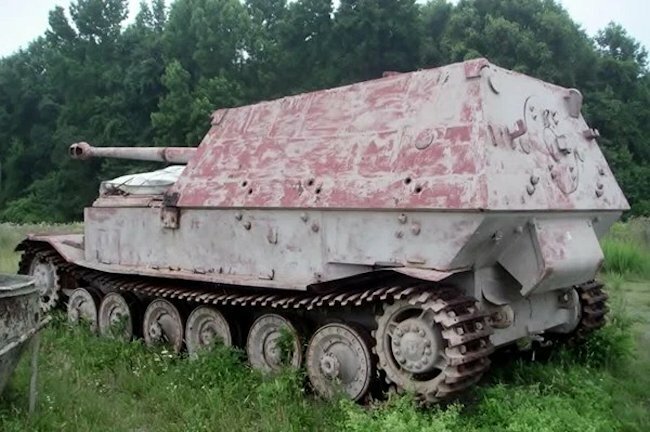 The Elefant Tank Destroyer did receive some new paint whilst at the US Army Ordnance Proving Grounds, Aberdeen MD, USA but it was still left outside. Where can I find other preserved Ferdinand and Elefant Tank Destoyers?